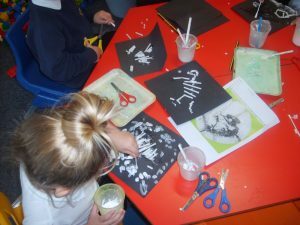 Ormiston Herman Academy – Little Learners – Dinosaurs! 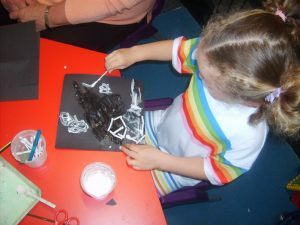 Ormiston Herman Academy > News > Academy news > Little Learners – Dinosaurs! 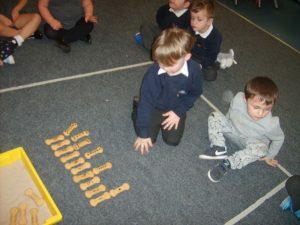 In Little Learners Nursery this week we have been learning about dinosaurs. Amongst other exciting activities we have looked at how big a stegosaurus’s footprint was. It was huge! We compared the size of our feet to it and we discussed how many of our feet would fit inside it. 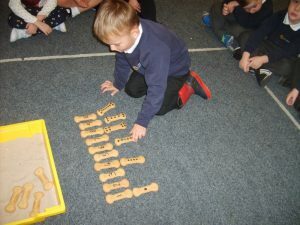 We have also matched numbered dinosaur bones to the correct number of spots on different dinosaur bones and we have made our own dinosaur museum/cave. We have been paleontologists inside our cave digging for dinosaur fossils and bones. 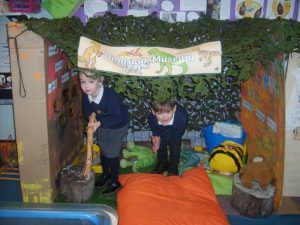 We cant wait to continue our dinosaur topic next week.